Chris Dempsey served as a co-chair of No Boston Olympics, a loosely organized volunteer group that sprung up to challenge the US Olympic Committee and New England businessmen and public officials, who were leading a bid to bring the 2024 Summer Olympic Games to Boston, Massachusetts. You can read the back story of their work here and learn why The Boston Globe named Chris Dempsey their Bostonian of the Year for 2015 here. Chris Dempsey: In early 2013, a couple guys got together who thought that bringing the Olympics to Boston might make a lot of sense. That morphed into an effort that was really led by a couple of leaders in Boston’s business community, who over the course of 2013 and then 2014, started to push a Boston 2024 bid. [They were] sharing potential plans with the media, bringing elected leaders and business folks together to try to see what an Olympics would look like, and then ultimately working with the USOC. Fast forward to all the way to January 8th, 2015 — it happens to be exactly a year ago today, that you and I are talking Sean — and the United States Olympic Committee meets in Denver, Colorado at the airport there. Their 16 board members vote and decide to award the United States bid to Boston 2024 over bids from Los Angeles, Washington, DC, and San Francisco. The Communications Network: What made you think that you could take on a mayor, these monied and powerful, long-standing interests inside the city of Boston? Chris Dempsey: We knew that we could never match their firepower, but we always felt like we had the facts on our side. We were hopeful that the media in Boston and the public at large would really see the value in having a healthy debate — rather than sort of having a herd mentality with everyone agreeing that this was a good idea. Our backgrounds were in government, politics, public policy, business. Some of us had MBA’s. We had some experience in political communications and in grassroots organizations. Our job was really just to try to get good information out there and hope that the media and the public would sort of take it from there. The Communications Network: Why do you think your work galvanized people? In particular there are significant opportunity costs to hosting. Because your city’s civic infrastructure focuses on the Olympics, it is less focused on much more important issues like education, healthcare, transportation, open space — any number of other things that residents really value and care about and which ultimately leave your city and your region much better off. We had a very positive message of, “Boston is a great city. We could pursue this bid, but there are so many other things that we should be doing. Let’s bring the attention back to those things [education, healthcare, transportation, etc.] rather than be worried about building a stadium and a velodrome and an aquatics center — catering to the international community [instead of people who actually live here]. We knew that we could never match their firepower, but we always felt like we had the facts on our side. The Communications Network: How did you get started? Beyond the living room, what happened? Chris Dempsey: One of the great things with all these new technologies out there is that the cost of starting an organization and raising its profile are very low. We started by registering a URL, NoBostonOlympics.org. That cost about $10 bucks. We got a Twitter account, @NoBostonOlympics. That’s free. Then we started posting some information on those two places and both started to become a depository of good information. Very quickly there was a back and forth on Twitter between us and the proponents about whether or not the bid was a good idea. The media picked up on that and pretty soon there were articles about how, “Wait a minute. It’s not just a one-sided story here. It’s not just a positive to bid on the Olympics. There’s also this other side of the story to be told.” We went from obscurity to having a relatively high profile over the course of just a few months based on some interaction on Twitter and having a webpage where people could go and learn more information. The Communications Network: My mother told me never to talk about money, but let’s talk about money. How much did you spend to take on these very, very powerful folks, in the city of Boston and the International Olympic Committee? Chris Dempsey: Boston 2024 had a very impressive fundraising effort. They spent more than $15 million dollars on their entire effort. Their average contribution size was more than $70,000. Most of their fundraising was made up of very large 6- and 7-figure contributions from wealthy individuals, corporations, and foundations. On the other hand, on our side, the average contribution size was about $100. We ended up raising over the course of 2 years about $35,000, but we actually spent less than $10,000 on the entire effort. We were outspent 1,500 to 1 by Boston 2024, but we were still able to “win” the debate because we mobilized the grassroots, because we used earned media and social media to get our message out there. The Communications Network: History clearly shows you as the victor. There were almost certainly some obstacles that you encountered along the way. Can you talk a little bit about what those might have been? Chris Dempsey: We were making this campaign up as we went along. We had kind of a core strategy of being involved, being responsive and trying to put good facts and information out there. We never had a plan of, “Okay, this is what the next 6 months look like. This is what the next year looks like. This is how we go about organizing.” There were some real challenges and some real soul-searching at a number of points in the process. The Communications Network: You took what I call “the Indiana Jones approach,” “Don’t ask me. I’m making this up as I go.” You have a background in business. You value a plan and yet, there was no plan. Talk a little bit about that. Chris Dempsey: I’ve always loved that phrase, which I think is attributed to Eisenhower [planning for battle]. It’s something like, “Planning is essential, but plans are worthless.” Basically, how I interpret that is you need to understand your strategy. You need to have a sense of how you could potentially win the argument — but it’s going to be such a dynamic environment with so much changing and so much out of your control that it’s not worth spending a lot of time sort of charting what every day, every week, or every month is going to look like. You just don’t know what’s around the corner. Your strategy, your planning is all about being responsive, being nimble, having kind of a core message that you’re always going to iterate off of, riff off of — not some sort of rigid structure or detailed plan. The Communications Network: Let’s get back to the obstacles. We were very fortunate that within a few months of leaving our jobs the tide started to turn and it looked like we had the momentum — it became clear that there was potential for the bid to end before the all-important September 2015 date when the USOC had to submit the city to the International Olympic Committee. But there were some really dark days in there — not just from an organizational perspective, but from a very personal perspective. We were dedicating ourselves to it full-time and very much wrapped up in it. The Communications Network: Where did the momentum come from? What happened? Chris Dempsey: Throughout 2014 the USOC had Boston 2024 conduct a process that was very private — they did not involve the public. When Boston 2024 finally released its bid to the public [in 2015], there was a lot in [that bid] that people were not happy about, that caught neighborhoods and residents by surprise when they started to realize, “Hey — the Olympics is not just a really fun event, it also has some significant consequences for our community.” I think magnifying that was that there was some real misinformation or inaccuracies in those 2014 bidding documents. Boston 2024’s credibility took a hit there. They had developed this bid behind closed doors and it hadn’t been tested. It hadn’t had that sort of sunlight that might actually improve it. As people saw more about sort of what was in store for them and their neighborhoods, the public began to realize that [the bid] was just not a good deal. The Communications Network: How important was having a public conversation? Chris Dempsey: The media was absolutely essential to our efforts. We feel incredibly fortunate to be in a region that has a dynamic and thriving press. Like anywhere in the country, journalism as an industry is suffering and there are fewer and fewer resources to bring to bear there. But there really are some amazing journalists: both long-time journalists in Boston and then also very young journalists who were in their first or second jobs with smaller outlets — who were breaking some of this news and doing investigative reporting. [The press] really helped drive the conversation. They were very good about showing both sides of the story. We had a responsive strategy where Boston 2024 would push an idea or have a significant media effort to publicize the bid and we needed to be there and to be responsive with a quote, statement or with a call to a journalist to talk about why the things that Boston 2024 was saying or pushing didn’t make sense or what the other side of the story was. We were lucky to be included in a lot of the stories, to really raise our organization’s profile so that it looked like we were a much larger and more dynamic organization than we actually were. The Communications Network: The Potempkin village strategy. It was just the three of you and yet to the many, many people observing from across the globe, it was easy to assume that this was an effort of dozens, if not hundreds of people. Chris Dempsey: There were three of us who were the core, who were working on it kind of 24/7. But there were many other people that were able to rally around the No Boston Olympics brand. I think that was a result of our ability to create an organization that looked like it was strong but also like it was open. It looked welcoming to people at the grassroots level. So there were those dozens of volunteers helping, but there was certainly never the fancy office space or the significant contributors or the powerful elected leaders that were pulling strings behind the scenes. We were a true grassroots effort, working out of cafes, out of people’s living rooms, and painting our own signs when we needed to before going to a public meeting. The Communications Network: Let’s talk about what ultimately happened. Chris Dempsey: Over the course of the spring and the summer, public support for Boston 2024 dropped from mid 50% to the high 30s. It eventually plateaued around 40%. Meanwhile, opposition rose from the mid 30s up to the low 50s and really stuck around 50%. It was very clear to really everyone — Boston 2024, the USOC, elected leaders — that this was not a popular bid. The USOC was in this essentially untenable position where they were trying to stick with Boston and the Boston 2024 group they had awarded this bid to, but without the political and popular backing that they needed to prevail. At the same time they’re facing a date from the International Olympic Committee, which is their partner on the international level, to submit a bid by September 15th. In the middle of summer, at the end of July actually, the USOC finally announced that it would be pulling the bid because it did not believe that it would ever be able to achieve the public support that it needed in Boston. A few months later the USOC, kind of after closing ranks for a little bit, came back out and gave the bid to Los Angeles. Over the next few years, people will be hearing a lot about the Los Angeles 2024 bid. 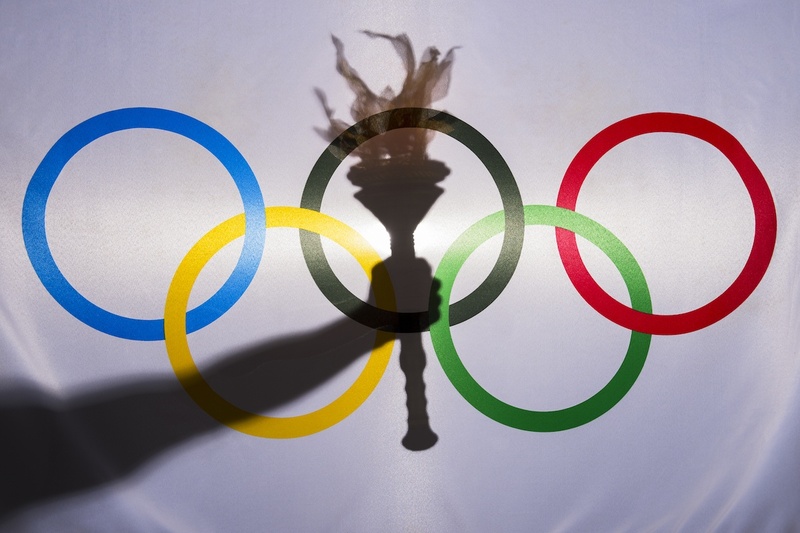 That was meant to be the Boston 2024 bid — we were able to stop that. The Communications Network: What surprised you about this work, this experience? Chris Dempsey: For me the experience was a reminder and confirmation that a group of citizens truly can have an impact and truly can make a difference despite being up against some very powerful forces. And it does not necessarily take a significant amount of resources to have an effect. You’ve got to have facts on your side, you’ve got to have good information and a sound argument. But if you can position that information in the right way, you really can create a movement and an organization that can punch above its weight and make a difference in a policy area that’s important to you. I don’t know if that’s a surprise — because I would like to think that’s been always true — but No Boston Olympics was a very good reminder of the power of a grassroots effort. The Communications Network: Are there a few lessons you take away? The 2 or 3 things that if you were going to do this all again, these would be in the playbook? Chris Dempsey: You have to take advantage of some of the opportunities that new technology has created to very quickly form an organization and raise that organization’s profile. We were able to go from 0 to 60 in a matter of months because of those platforms. That’s everything from Twitter, Facebook, and WordPress to a great organizing tool that we used called NationBuilder. I recommend NationBuilder to any social organization or nonprofit that wants to organize people. That was an effective way for us to bring new people into the fold. I think that’s one lesson. The second is to continue to use, and most organizations do this already, but continue to use more traditional media as a platform and try to develop earned media where you are producing information and facts so that you make it easy for reporters to have information at their fingertips and to have that other side of the story. Reporters want to publicize the story and they are looking for resources to do that. If you can provide those resources, you can increase awareness of and confidence in your brand. The Communications Network: Where else could you see this approach working? Chris Dempsey: In some ways it was a unique situation because, look, an Olympic bid is this incredible combination of sports, politics, government, transportation, and housing. It raises all of these issues. The bid was an almost unbelievably high-profile issue in Greater Boston. It was unique. On the other hand, I do think that the strategy that we used could be applicable to other situations where there are a small group of interests pushing a particular idea that impacts communities more broadly. One thing that we showed is that it is now easier in today’s world to organize that sort of broader public to speak up to magnify their voice so that they can match the better funded and more powerful, but ultimately narrow interest groups that are pushing a particular idea. Whether your issue is more funding for social services — or anything in the entire range of public policy where the broader public needs to have their voice heard — I think our model could be instructive and I hope it would be effective. The Communications Network: The folks who make up The Communications Network are especially interested in this work through the lens of communication. Obviously, a huge element of this work was communication. What does the word “communication” mean to you? Chris Dempsey: In a broad public policy issue like this, communication is about relating the particular public policy to people’s everyday lives and finding something that they can understand and grasp on to. One thing that was effective about the No Boston Olympics movement here is that there were different messages that appealed to different types of people. For example, there was a whole segment of the population that was opposed to Boston 2024 because there was going to be a lot of traffic for 3 weeks. To be clear, that’s not one of the reasons that compelled me to fight this. I actually thought the 3 weeks would have been kind of a fun! For me it was about the years leading up to hosting and the years after hosting that we were going to be significantly harmed by the bid. But we did want to appeal to those people who were [concerned with traffic]. We wanted those people on our side, so we had a particular part of our message that worked with them. That was around the fact that the International Olympic Committee actually required a lane to be reserved on every highway in the state so that IOC dignitaries and sponsors could have unobstructed trips — while everyone else is sitting in traffic. If you’re someone who is already worried about traffic around the Olympics — and then you hear that the IOC officials will get to avoid it, that really makes you angry. That brings you on our side. Then there’s a whole other group of people who were concerned about some of the civil rights and civil liberties impacts around the Olympics — the fact that Olympics tend to be associated with governments clamping down on free expression so that they put on a pretty face for the TV cameras. Our coalition wanted to appeal to those people also. Then there were a whole bunch of people in the middle who were fine with the Olympics one way or the other, but they didn’t want to have to use tax dollars for it. For those people, we talked about the fact that the International Olympic committee requires this taxpayer guarantee for Olympic cost overruns. So I think at the end of the day the 50%+ of people around the state who were on our side had different reasons for being with us. We were able to kind of communicate with each of them, ultimately, on sort of an individual basis. The Communications Network: If you don’t mind my putting words into your mouth, it sounds like to you communications was more than just a press release, more than a tweet, more than a quote in a newspaper article, it was about gathering intelligence. It was about understanding an audience. It was about building relationships. Is that a fair reflection of what you were thinking? Chris Dempsey: I think our Co-Chairs’ backgrounds in political campaigns was probably what allowed us — or enabled us — to think that way. At the end of the day we were trying to build a coalition of different constituencies. Effectively, people were going to “vote” for our effort for a whole set of different reasons, and you have to appeal to all of those reasons. The Communications Network: What’s next for you? What’s next for the team? Chris Dempsey: We get asked a lot whether No Boston Olympics will continue on and try to fight for some of the things that we talked about as a better alternative to the bid. I think the organization itself will probably go away. We don’t think that we’ll be able as a formal organization to move on to the next thing because we did have such a broad coalition. We had very serious supporters who were conservatives and very serious supporters who were progressives and a whole bunch of people in the middle. So we won’t necessarily agree on whatever the next issue is. But you will see certainly the three co-chairs and many others who are involved in No Boston Olympics continuing to be part of the broader civic debate – about how we need to grow and how we need to change as a city. In the meantime, I think Kelley and I are happy to be back in the working world and getting a paycheck again! We spent 6 months not getting paid in 2015. So now it’s sort of back to our daily lives. At the same time, we’re back to those lives with a kind of renewed feeling about how important some of these civic debates are — and our ability to have an impact.